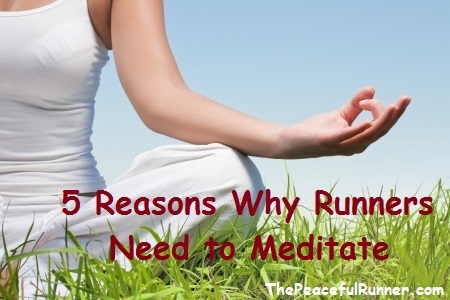 Welcome to our monthly newsletter -- 5 Reasons Runners Need to Meditate! 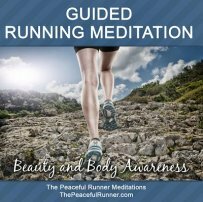 We hope this article gets you motivated to start your own meditation practice for improved running experiences and be sure to read through to the bottom for a chance to win one month of free meditations! 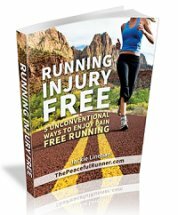 Also, stay tuned for the release of my first e-book titled, Running Injury Free: 5 Unconventional Ways to Enjoy Pain Free Running. I will be giving it away free to all of you (all subscribers to this newsletter) as soon as it is available. It should be ready in a week or so. Keep an eye out for it in your inbox! Meditation is no longer considered to be a practice just for monks sitting cross-legged in caves. It is now going mainstream with many celebrities such as Oprah Winfrey, Katy Perry, and Richard Gere singing its praises and new scientific evidence backing its benefits. The latest discoveries in science are finding more concrete evidence of the benefits of meditation as shown in the cute video below from AsapScience. So why do runners need to meditate? Other than the benefits mentioned in the video, meditation can provide specific benefits that can improve your running. Runners need a strong mind and meditation makes the mind stronger in the same way that running makes the body stronger. We need both strengths for efficient running. And you don't have to sit cross-legged on a cushion to meditate. You can sit on a chair or lie down as long as you are comfortable and can keep your back relatively straight. Ideally find a place and time where you won't be disturbed. Meditation helps you develop a stronger sense of your authentic self. As you become better at keeping focus in the present moment, you become more positive. You increase your inner strength and confidence. You are more capable of getting through the tough parts of running as you have more confidence in your inner strength. When you are stronger mentally, you won't need to rely on music or other distractions to get you through a long run. You are training your mind how to overcome obstacles. You have confidence and you just know you can do it! Many runners depend on running to provide their daily dose of endorphins so they sometimes run too much rather than give their body a rest by taking a day off. Meditation also releases endorphins into our bodies. If runners decide to meditate and take a day off running, they can still enjoy the effects of the endorphins but without taking the risk of getting injured when they are fatigued. Cortisol is a stress hormone which is often released into the body during running. Cortisol is known to reduce bone density which increases the risk of injury while running. Meditation decreases the production of cortisol so it can counteract the increase in levels that running creates—thus reducing the risk of injury and illness. Cortisol is also known to cause chronic stress, abdominal fat, and high blood pressure. Meditation increases your awareness of yourself--your body, your thoughts, your form, your pace, your attitude. As you develop a heightened awareness of your mind and body, you will notice what your mind is bringing to each run. If you are holding yourself back for any reason, you will begin to realize it and overcome it. Sometimes we criticize ourselves and hold ourselves back without being aware of it. Meditation helps you learn how to relax and release tension from your body. 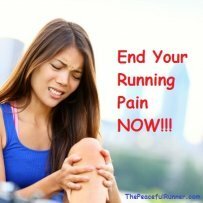 Holding tension in your body while running wastes a lot of energy. When you know how to release tension, you can use all your energy and run better. As mentioned in the video above, meditation increases the variability of the heart rate. This is good news for runners as this function plays a critical part in transporting oxygen and carbon dioxide throughout our body. A good oxygen exchange is essential for efficient running. Meditation has the ability to help you run faster. If you are no longer creating negative experiences with your mind, you will have more positive runs. And more positive running usually results in faster running! Meditation also boosts the immune system so you can spend more time running and less time recovering from cold and viruses. When we are running, our mind often thinks about all the things that could go wrong on the run. These thoughts create fears. Fears such as, running out of water, getting too tired to finish, developing pain or a cramp, getting too hot or too cold, and the list is endless. Meditation trains the mind on how to deal with these thoughts of fear. You will also be less afraid of pain and can handle it better if it arises. You learn how to identify these thoughts and how to let them go. Meditation quietens the mind. You may still experience these thoughts of fear, but you will be able to deal with them much better. Meditation is a chance for our body and mind to experience stillness and bring balance into our lives. We need both stillness and movement to stay healthy. Running and other activities provide the movement we need and meditation provides us with the opportunity to enjoy stillness so that your whole self is being nourished, not just your physical body. Runners need to meditate to experience balance. Win One Month of Free Meditations! If you would like to get started on a meditation practice, I highly recommend Headspace.com. I have no affiliation with this program, but I have been using these meditations for over a year. I like them because they are simple to do yet very effective. You can access it on your computer or through an app on your smart phone. It is free to try for the first 10 days and if you like it, you can subscribe for a longer period of time. I have a coupon code for one month of free meditations from Headspace.com to give away to one lucky "meditator-to-be!" It's easy to enter. Just add your comments on this article in the comments section below. You will need a Facebook account to add comments. However, if you don't have a Facebook account, you can just reply to this newsletter and I will post the comments on your behalf. Be sure to add your comments as soon as possible as the contest closes 10 March 2015. A random draw will be made from all comments and the winner will be announced here. Good luck everyone and get meditating!